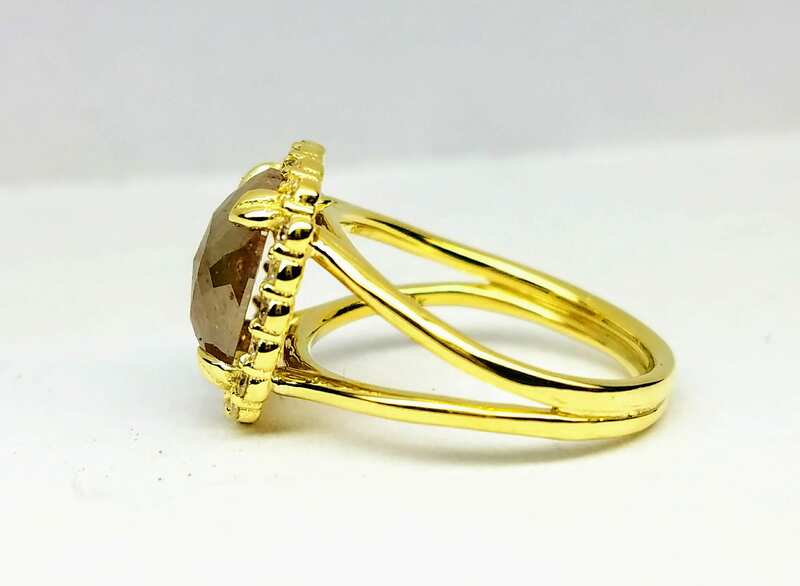 Rustic Rose Cut chocolate Diamond 18 karat Yellow Gold Engagement Ring, Non traditional rough rustic diamond engagement ring. 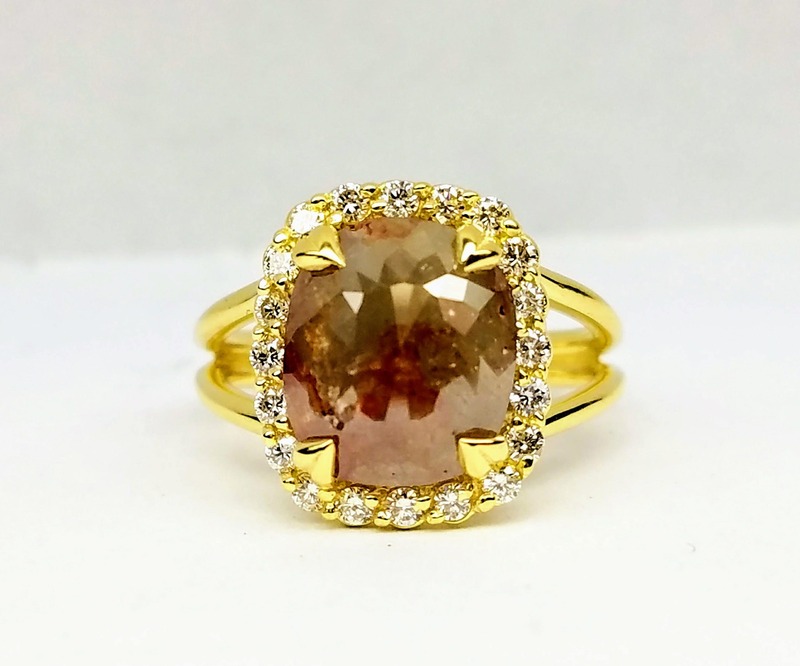 Grey brown color diamond halo engagement ring. 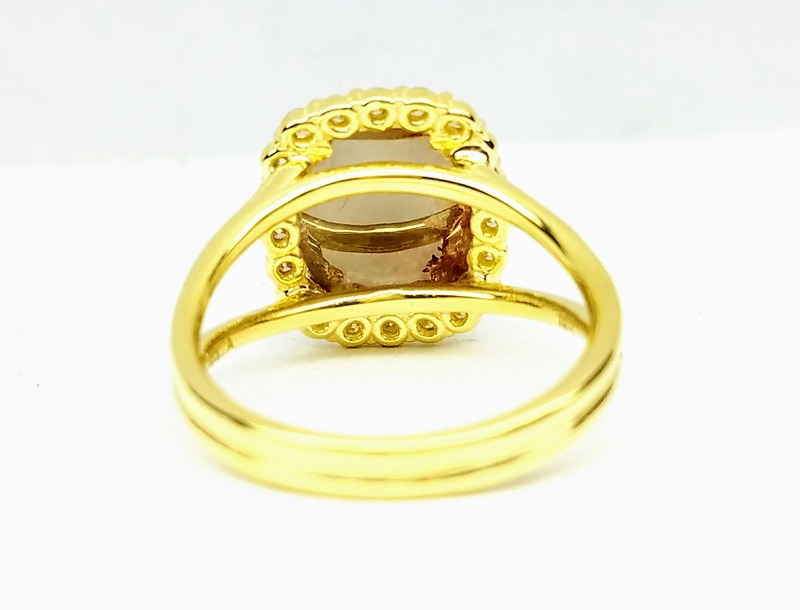 This striking, beautiful split band ring features a mesmerizing cushion shaped rose cut diamond. 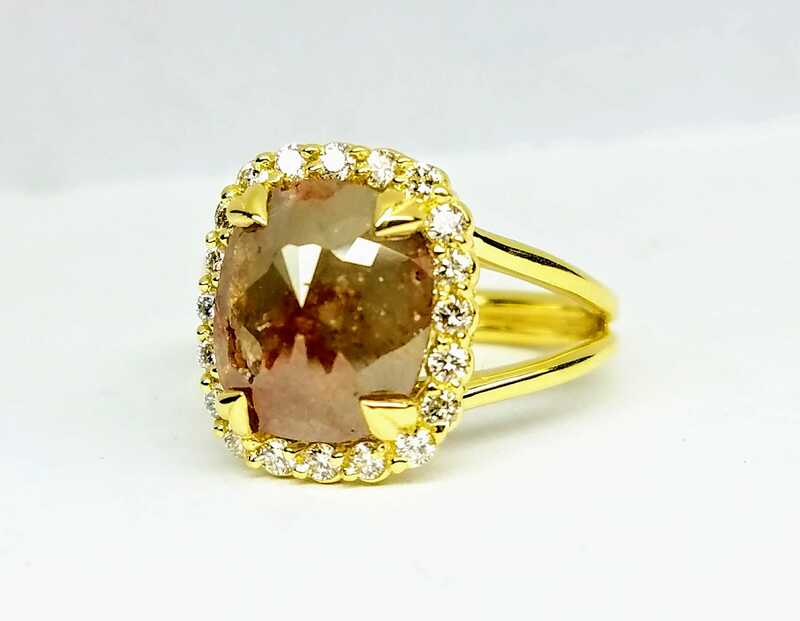 The diamond is natural in color and weighs 2.65 carats. 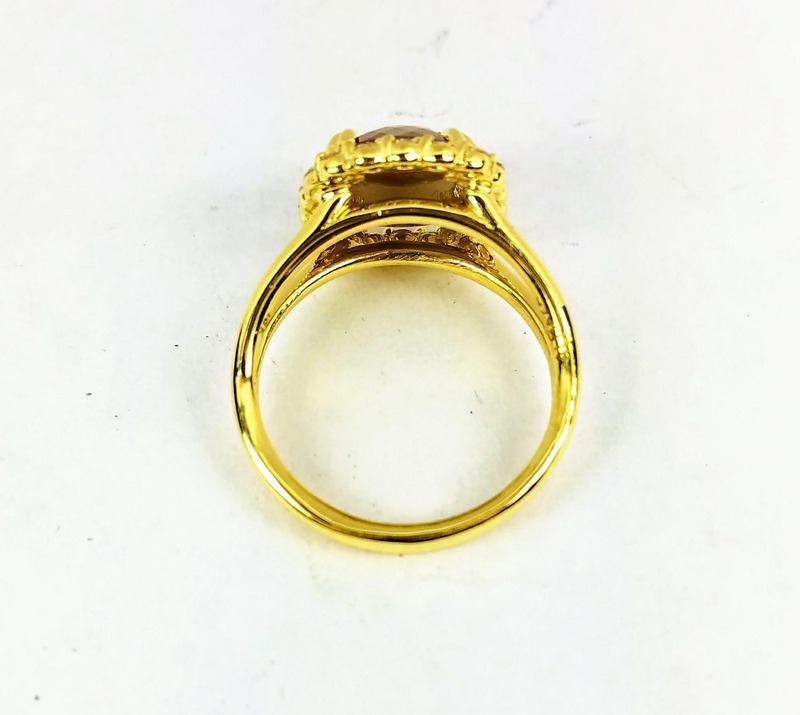 Set in a halo setting ring in 18 karat yellow gold. 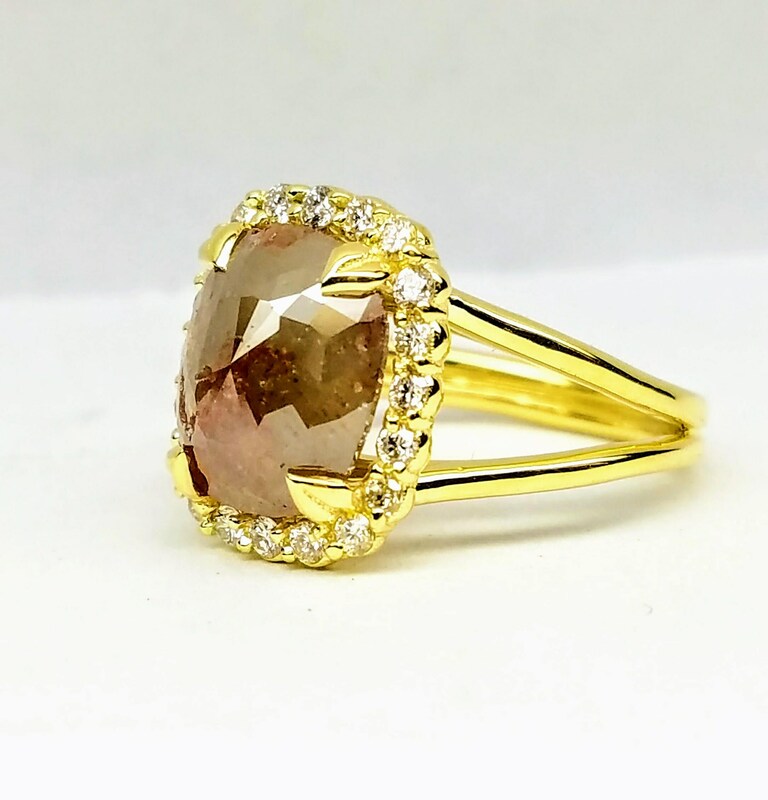 The rose cut rustic diamond sits in a halo of white diamonds.